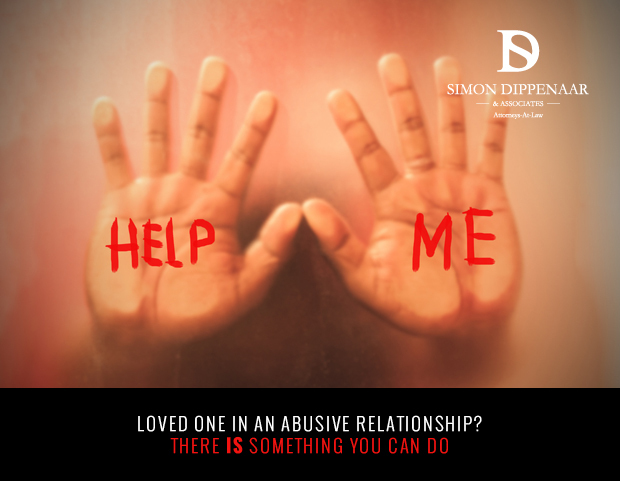 We all know someone in an abusive relationship, or someone who has been in one. Maybe you have a colleague who regularly comes to work with bloodshot eyes, and smudged mascara. You are fairly certain that she’s being abused by her husband from the way he treated her in front of everyone at Christmas party last year, and from what you’ve noticed through the office window when he drops her off at work. So what should you do if you are in an abusive relationship? We can advise you on how best to support a family member, and how to protect them. Contact us on +27 (0) 86 099 5146 or 076 116 0623. Or email sdippenaar@sdlaw.co.za. Your query will be handled with discretion and compassion. This entry was posted in Abusive Behaviour, Abusive Relationships, Divorce and tagged abusive relationship, domestic violence, emotional abuse, psychological abuse, stockholm syndrome, toxic relationship. Bookmark the permalink.